With the Nissan College Grad Program, we’ve made it possible for you to save like a finance major. The program is quick, easy and can save you between $500 and $1000. Our team will also help you combine it with other current Nissan incentives to make sure you’re getting maximum savings!. If you have graduated within the past 24 months, or have written confirmation of an upcoming graduation within the next six months, you could qualify for a major discount on a Nissan. You also need proof of current or future employment that begins within 90 days. Eligibility requirements apply: Proof of current enrollment in accredited U.S. graduate school, proof of graduation within past 24 months, or written confirmation of upcoming graduation within next 6 months required. 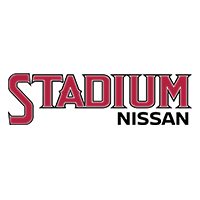 Grad cash certificate available towards the lease or purchase of the advertised new Nissan model from dealer stock. Limit one vehicle purchase per qualified participant for personal use in their name only. Down payment may be required. Available on lease or purchase. Must take delivery from new dealer stock. Subject to residency restrictions. Other restrictions apply. See dealer for details. Offer is subject to change at any time.